This article originally appeared at Newsworks.org. 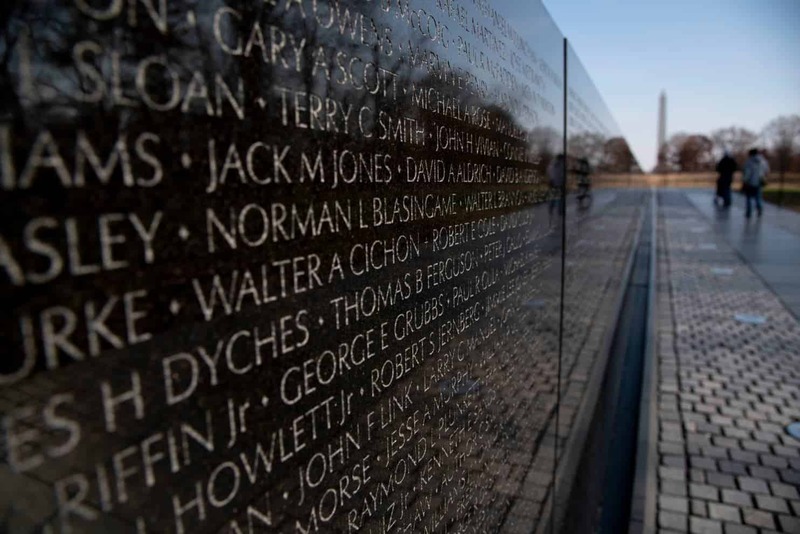 This story is part of a WHYY series examining how the United States, four decades later, is still processing the Vietnam War. 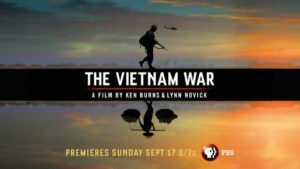 To learn more about the topic, watch Ken Burns and Lynn Novicks’ 10-part documentary “The Vietnam War.” WHYY members will have extended on-demand access to the series via WHYY Passport through the end of 2017. My name is Ngô Thanh Nhàn, first name Nhàn. I was born in 1948 in Sàigòn. My life was affected by the war from an early age, with many relatives in the south Vietnamese army. My father joined the French army when he was 14. In 1954 when the French left after being defeated at Điện Biên Phủ, my father refused to be transferred along with the French colonial troops to the U.S.-led army, called Army of the Republic of Vietnam (ARVN). However, later on my older brother Ngô Văn Nhi joined the ARVN when he was 18. My sister joined the ARVN as a nurse. Two of my brothers-in-law were in the ARVN; one was a pilot in the air forces. In 1974, my older brother Nhi was killed by a napalm bomb: Eager to defeat the women guerrilla of the National Liberation Front (NLF), the ARVN dropped napalm on both sides, incinerating everybody, including my brother. When my mother came to collect Nhi’s charred remains, they could only be identified by his teeth. After the war, I remained in the U.S. for graduate school. Four of my siblings and their families came to the U.S. by boat between 1975 and 1981. As a top student in Gia Định Province, I received a U.S. Agency for International Development scholarship to study at San Jose State University in 1968. When I arrived in California, I initially supported but soon opposed the war after studying Vietnamese history and reading “Beyond Vietnam” after Martin Luther King, Jr’s assassination. 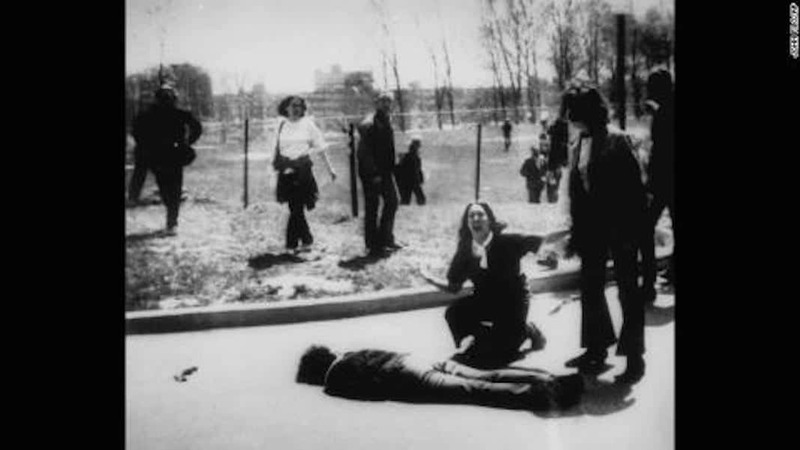 Then, in 1972, I and 30 others formed the Union of Vietnamese in the U.S. (UVUS) after my close friend and fellow anti-war student, Nguyễn Thái Bình, was shot by a plainclothes U.S. security agent on the tarmac of Tân Sơn Nhất airport while being deported to Vietnam. Bình’s death caused a huge uproar in Sàigòn. 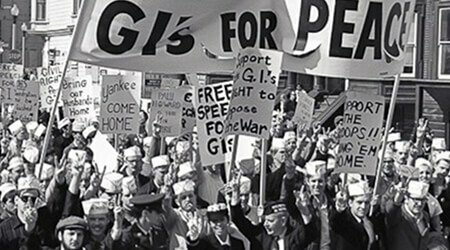 The UVUS members all spoke out against the war, side by side with Vietnam Veterans Against the War from 1972 until 1975. I continue to work and raise the problems of Agent Orange among the Vietnamese people — both in Vietnam and in the U.S. — and Vietnam veterans. Of particular importance is the effect that Agent Orange, which contains dioxin (one of the most toxic chemicals known to science) has on the children and grandchildren of those exposed to U.S. spraying during the war. Hundreds of thousands of their offspring now suffer from horrific birth defects and cancers. 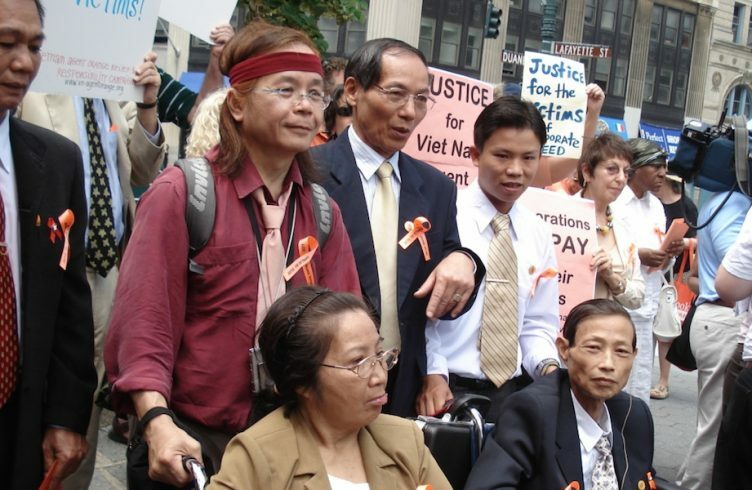 The U.S. government, while it has started helping to clean up the Agent Orange that remains in the soil in Vietnam, has yet to provide assistance to the young human victims of Agent Orange, either in Vietnam or in the U.S. And the Vietnamese Americans (both ARVN and civilian) who were impacted by Agent Orange have received no recognition or help. The U.S. government and chemical manufacturers, chiefly Dow and Monsanto, have yet to do the right thing and meet their responsibility to their victims! First, the role of the Vietnamese anti-war movement in the U.S. from the early ’70s on is completely missing from the film. 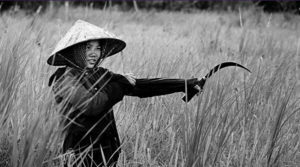 The coverage of the anti-war movement in the southern part of Vietnam is minimal. 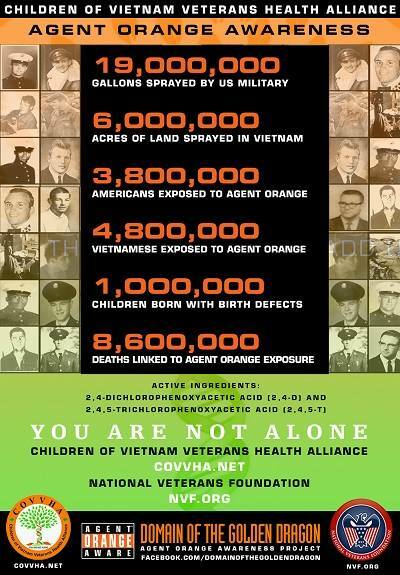 Second, while the documentary mentions Agent Orange in passing several times, it neglects the devastating health consequences for both Vietnamese and U.S. people and their children and grandchildren from 1975 to the present. This is an issue that millions of families care about and is a crucial part of the process of reconciliation that the film extolls. Congresswoman Barbara Lee has sponsored H.R. 334, The Victims of Agent Orange Relief Act of 2017, to initiate the U.S. government’s responsibility to address this need. Third, the voices of younger Vietnamese Americans, along with their Cambodian and Laotian counterparts, whose families still suffer the effects of dislocation and trauma, are unheard. Wars do not end when the bombs stop falling and the fighting ceases. The devastation continues long after, in the land and in the minds and bodies of the affected population. This is true in Vietnam, in the U.S. among the Vietnam veterans, the Vietnamese-, Cambodian- and Lao-American communities, and particularly among the youngest victims of the war who still suffer from Agent Orange-related disabilities. Dr. Ngô Thanh Nhàn is a fellow and an adjunct associate director of the Center for Vietnamese Philosophy, Culture & Society of Temple University. He is a board member of the Institute for Vietnamese Culture & Education, and Mekong NYC (organizing the indochinese communities in NYC). He was a founding member of Peeling the Banana in the past and Mekong Arts & Music, New York Asian American performing arts collectives. Dr. Nhàn was the founder of the Union of Vietnamese in the U.S., opposing the U.S. war in Vietnam (1972-1977), a founder and leader of the Association of Patriotic Vietnamese in the U.S., supporting lasting peace in Vietnam (1977-1981), and a founder of the Association of Vietnamese in the U.S., for U.S.-Vietnam normalization of relations (1981-1995). He is currently a co-coordinator and founder of the Vietnam Agent Orange Relief & Responsibility Campaign.